CrimeEye® is Total Recall’s line of high-quality, comprehensive public safety video systems. With all of the necessary components for capturing and transmitting video footage, CrimeEye systems enable law enforcement and municipalities to deploy complete video surveillance for a variety of applications. CrimeEye solutions range from fixed systems for permanent deployment to portable units for either permanent or temporary video surveillance applications. Designed for 24/7 outdoor coverage, CrimeEye units feature a robust design, high-quality video, and reliable performance. CrimeEye fixed location solutions are modular systems designed for permanent citywide video coverage. Engineered for reliable long-term citywide video surveillance, they feature a weatherproof housing, variety of imaging options, and advanced networking capabilities. Fixed units have multiple configurations which vary depending on customer needs and specifics of the surrounding environment. CrimeEye fixed location units can operate independently or can integrate into a citywide network with dozens of other CrimeEye units. The CrimeEye Rapid Deployment series is comprised of light-weight public safety video systems, which are unique in their portability. CrimeEye RD can be installed within minutes, then quickly and easily moved to a new location as needed. CrimeEye RD units require virtually no tools to set up and can be deployed by one person on almost any type of pole with the included mounting hardware. Equipped with HDTV-quality dome network cameras, CrimeEye RD will stream high-quality video in minutes after installation. 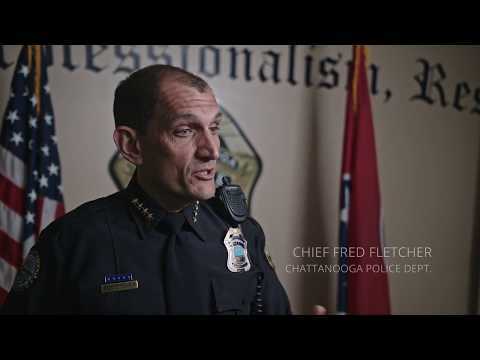 Pursuing the major goal of ensuring public safety within their city, Chattanooga city leadership selected CrimeEye RD. Fifteen CrimeEye units were installed around the city to assist Chattanooga PD in keeping their streets and neighborhoods safe. Watch the video to learn more. Contact us for more information, pricing, or a DEMO.